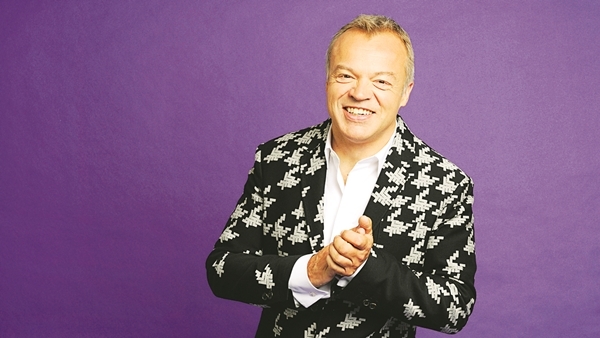 Graham Norton has always thought about retiring, but still hasna��t made any plans. Recently in the news for his comment on The X Factor losing its credibility, Norton, 52, returns with the 18th season of The Graham Norton Show. The Irish television presenter, comedian and actor is ready to host Robert De Niro, Anne Hathaway and Tom Hiddleston, among other stars. What was your highlight from the last series? What I like is when you dona��t know anything about somebody and they just come out and theya��re a great surprise. Chris Pratt from Jurassic World was just fantastic when he came on and did his TOWIE (The Only Way Is Essex) impression, which was so good. Humour is different around the world so why do you think your show does so well internationally? I think there are certain things that are specifically funny to different countries. But wea��re dealing with forms of entertainment that have to work across borders. It doesna��t matter where you live, you cannot hide a��Trainwreck will open everywhere. So I think thata��s how it works; our show isna��t very esoteric or very British, ita��s a very mainstream show. There are a few people where that kind of movie star bubble doesna��t go away. Tom Cruise is one of them.